Karel Škubník and Jiří Damborský both work at campus Bohunice. Loschmidt Laboratories led by Damoborský have already produced four computer programs that are now used by hundreds of thousands of people around the world. 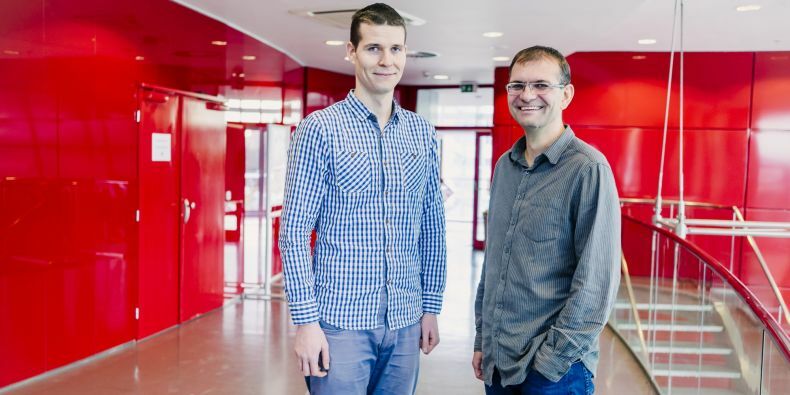 Two experts from Masaryk University have been recognized as laureates of Česká hlava, the prominent science and research award given to Czech scientists. 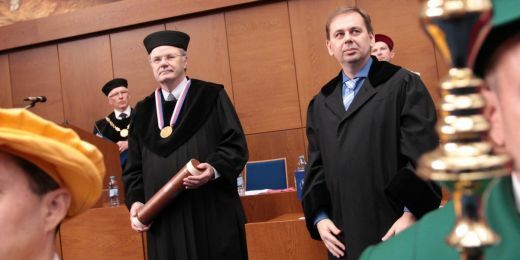 The main award, Invence (“Ingenuity”), was given to Professor Jiří Damborský for his software tools used in protein engineering, while Karel Škubník from Ceitec MU received the Doctorandus (“PhD”) award in natural sciences for his work on the structure of a virus that infects honey bees. 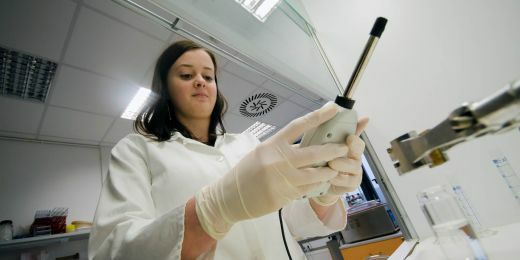 Professor Damborský’s team in Loschmidt Laboratories at the Faculty of Science has long focused on modifying proteins to make them more stable and active and to make their industrial and medical applications more effective. “Proteins are the basic structural unit of living organisms and are used in a number of fields ranging from medicine and dietary supplements to environmental protection. We study the relationship between protein structure and protein function and translate the insights gained into modifying protein structure to improve their biological activity and stability,” says Damborský about the work of his team. Loschmidt Laboratories, which are part of the Department of Experimental Biology and of RECETOX, have already produced four computer programs that are now used by hundreds of thousands of people around the world. Caver is software used to analyse and understand protein structure and how it functions in living organisms. Hotspot Wizard is a web portal allowing users to design safe protein modifications in order to make them suitable for further use without damaging their structure. The PredictSNP program analyses the impact of mutations on human health while the latest FireProt software enables to design proteins in a way that preserves their stability and functioning. The team led by Damborský also use their own software. One of their current projects involves the study of tunnels in protein structure, as understanding these pathways can help to modify biomolecules. The software is also used in to stabilise the growth factors used to cultivate stem cells and is used in a joint project with their colleagues from the International Clinical Research Center, where they examine new drugs used to dissolve blood clots in acute stroke victims. 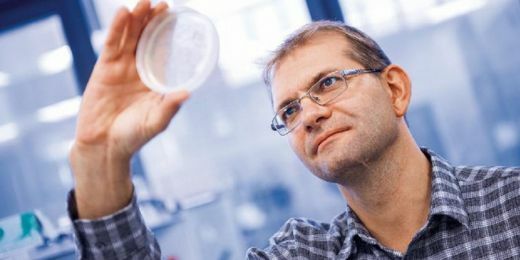 Karel Škubník, a PhD student at the Faculty of Science, also studies structures although his research focuses on whole organisms rather than exclusively proteins. As a member of a group led by Pavel Plevka at CEITEC MU, he examines the “deformed wing” virus that affects honey bees. He is a biophysicist and originally studied surface treatments but decided to change the focus of his research when he enrolled in his PhD studies. He joined Plevka’s group three and half years ago and because of his transition from materials science to biological sciences, he had to learn everything from scratch. “Everything from virus purification, which is needed to obtain pure virus particles, to their crystallisation, as crystallography is one of the main methods used for determining the structure of viruses,” he says. The deformed wing virus had long resisted crystallisation and so was studied using cryo-electron microscopy. “Eventually, we obtained two different structures, so now we are studying how the viruses behave in different environments to see if the structural changes could be related to the different pH used in processing the specimens for crystallography and for electron microscopy,” adds Škubník. Just like Damborský, Škubník also says that the Česká hlava award is recognition of the whole group. He feels the same is true about the award from the Czech Ministry of Education for outstanding students and graduates, which he also received this year.